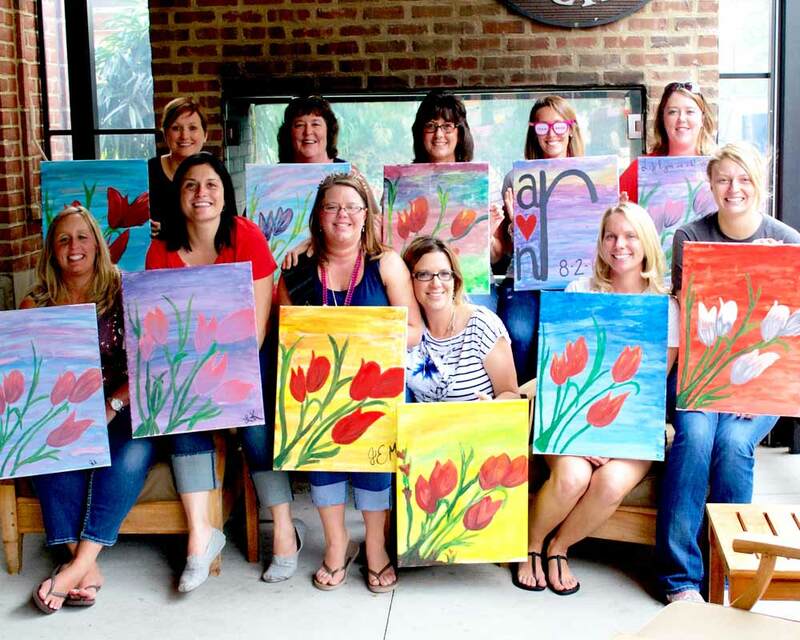 Type of Class: Canvas Painting or Pinterest Parties for adults. 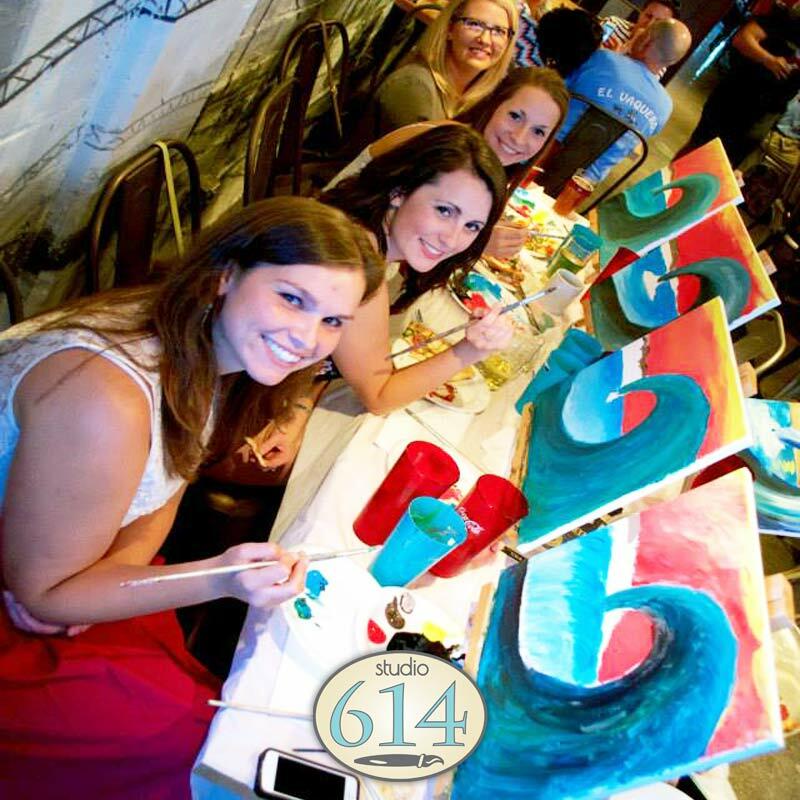 From tarps to table cloths, we’ll handle the whole party set-up and clean-up, all you have to do is send out the invites! 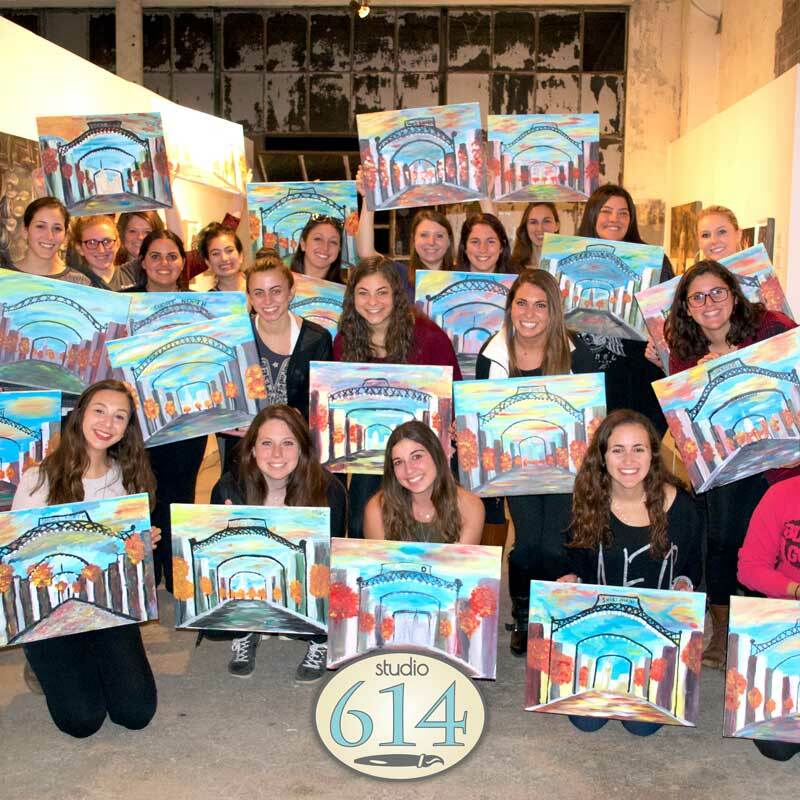 Whether you have a venue in mind or would like to hold the party in your own home, we can host a painting party almost anywhere. 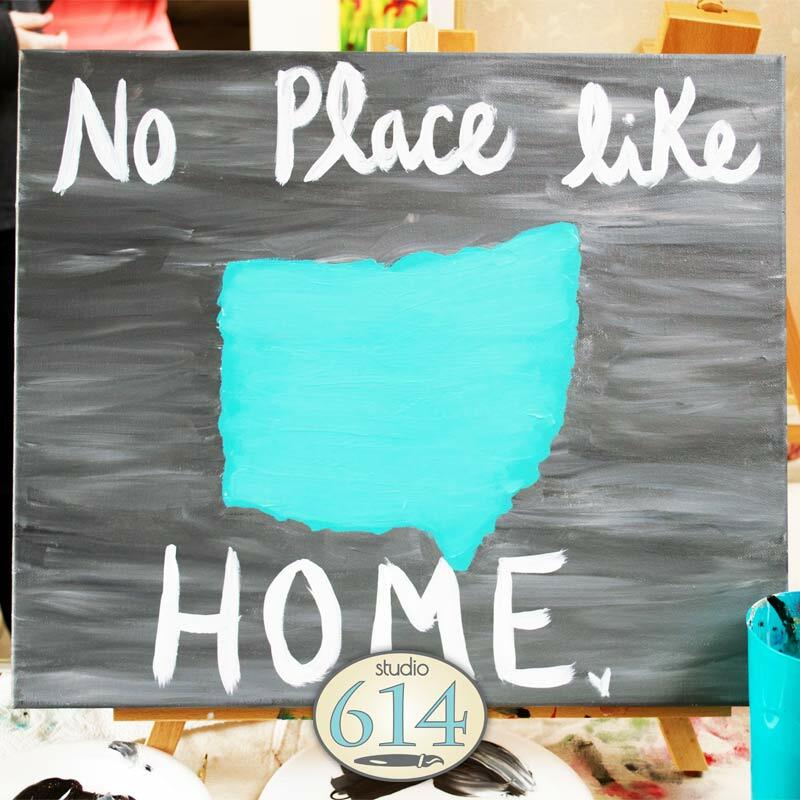 Sit down at your pre-sketched canvas, loaded pallet, and premium paint brushes, and follow the friendly guidance of a Studio 614 professional art instructor. 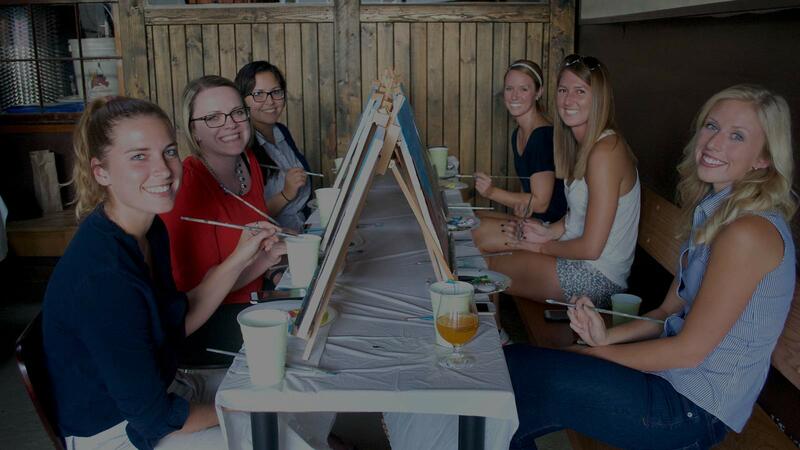 Enjoy some wine and cheese while you unleash your creative side. 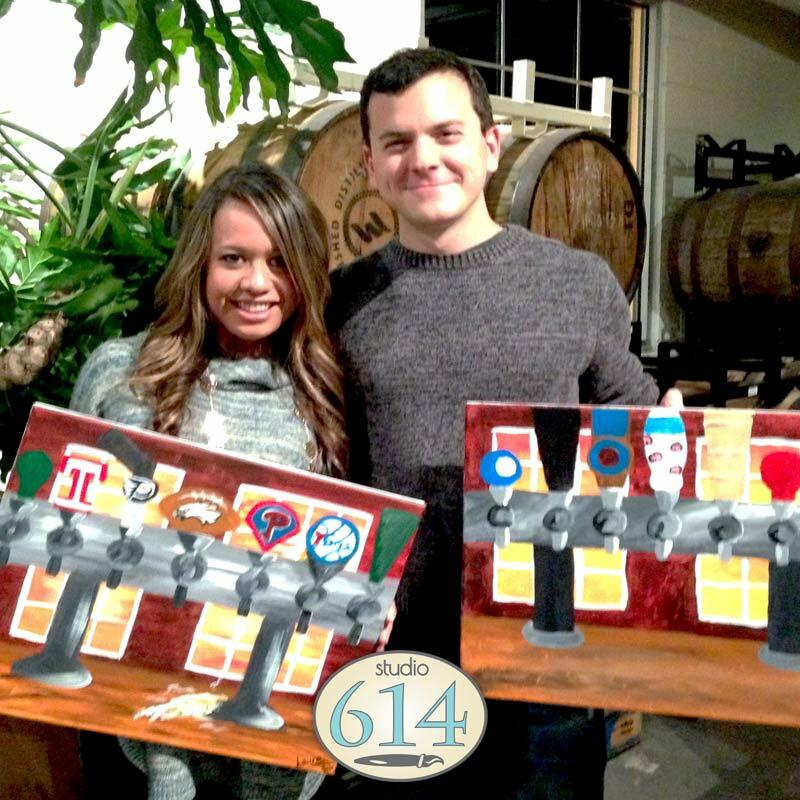 If everyone wants to pay separately, we’ll create a private event here on our website so you can forward it along with invites to the party. That way everyone can pre-register, and we’ll have a final headcount.